Glee 2017 | New Range, Unveiled! New for 2018 | English Heritage Range! 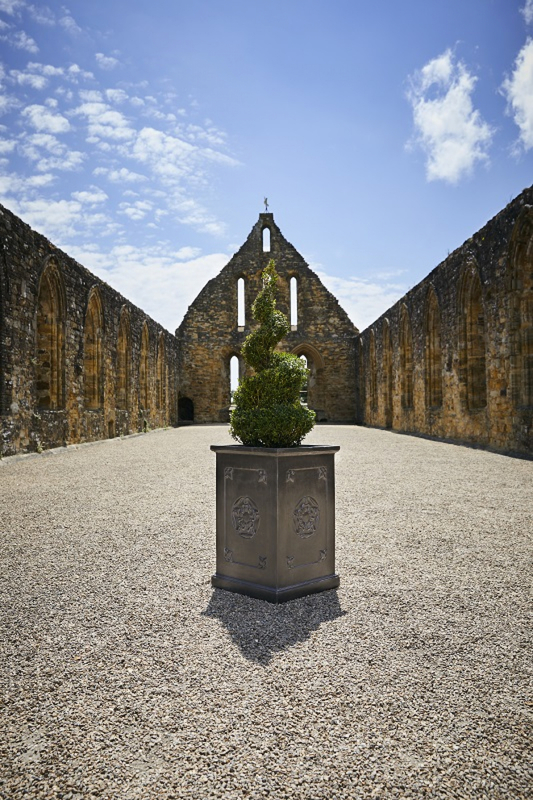 We are very pleased to announce our latest range of planters is created in association with English Heritage. The Heritage Collection is inspired by history, incorporating period design features from English Heritage properties into a uniquely styled range of garden planters. This range includes both frost resistant Terracini and eco-friendly Clayfibre in various designs and sizes. The design process for this range involved the team visiting several English Heritage properties as well as looking through the fascinating archives at Wrest Park. The team drew inspiration from everything seen and, whilst using their knowledge of the planter market, created a range of designs that offer an attractive and authentic feel in popular materials and sizes. As with our entire range, planters can be ordered individually or in nested sets and pallet combinations. Good margins are on offer to the end retailer and increase with volumes purchased. Merchandising solutions are also available, including point of sale marketing material. This range was launched at Glee 2017 and the team are ready to take orders for fulfilment early 2018.